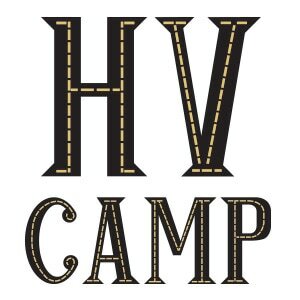 The following information applies to members of every ensemble under the umbrella of HV CAMP. Please be sure to read carefully. The membership fee currently stands at $30 ($25 dues plus $5 music deposit fee) per person, per season, per ensemble. Members are expected to pay the membership fee no later than the second rehearsal they attend. Members may not take music home with them until their membership fee is paid in full. Members are asked to arrive at least 15 minutes prior to the start of rehearsal for enough set-up/warm-up time. Members are expected to be adequately prepared for each rehearsal. Members are asked to help set up seats and other equipment prior to rehearsal (if applicable). Members are asked to alert the musical director as soon as possible in the event of an absence from rehearsal or a member running late to rehearsal. The musical director has complete control over what happens within the rehearsal environment. The musical director may seat members however he/she sees fit. Extraneous conversation and noises should be eliminated during the course of rehearsal. All cell phones and other devices should be silenced during rehearsal. Ego and poor attitude will not be tolerated and may result in immediate dismissal from ensemble(s). Members are responsible for understanding their rights as prescribed in the by-laws. Members must bring their own music stand to all rehearsals and performances. When auditions are not required to enter a group, members are expected to have been playing their instrument for at least one continuous year and be able to competently read music. Members should be familiar with basic scales and some theory. All members should be able to read in 2/4, 3/4, and 4/4 time. All members should be able to read eighth note, quarter note, half note, and whole note rhythms (notes and rests). Brass and woodwind players should know their concert Bb and F major scales (C and G for Bb instruments, G and D for Eb instruments). String players should know some combination of major scales such as C, G, F, and D. Other scales, such as A and A#/Bb, are also helpful. Pitched rhythm players (piano/guitar/bass/mallet percussion, etc.) should know major scales such as C, F, Bb, Eb, G, D, and A.
Percussion players (snare drum/bass drum/cymbals/auxiliary, etc.) should know proper techniques for playing their instruments. All members (new and returning) are expected to register prior to each season of participation for legal purposes. Please use the Register link at the top of the page. All members are also asked to fill out and sign all info sheets and waivers in each new calendar year. Music and folders are the property of HV CAMP. Please make any markings lightly and in pencil for easy erasing. Lost, stolen, or damaged property will require compensation from members. A member who chooses to roll over the $5 is not entitled to ask for it back for any reason except following the successful return of his/her music and folder in the following applicable season. The deposit is considered lost in all other situations. The musical director of each ensemble will make the final determination on the condition of music/folders. Any discrepancy over the condition of music/folder will be decided by the executive director. Members are not entitled to appeal any decision, as all decisions are final. Members will be contacted via email a few weeks following the final concert of each season regarding their deposit. Members are asked to respond within a week of being contacted with their preference.